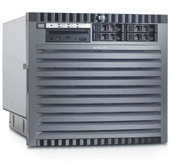 Cypress Technology, Inc. specializes in selling and supporting Hewlett-Packard HP 3000 (MPE/iX), 9000, and Itanium (HP-UX) servers, workstations, parts, and all related peripherals. We offer HP hardware from the early 1990's to the current date.
. Contact us for any HP servers, workstations, hardware, or services.
. Contact us for any purchases, sales, or trades of any hardware.
. Contact us if you have any questions.
. We offer hardware and software support.
. We offer migrations service for HP-UX and MPE/iX platforms.
. We provide replacement parts for discontinued HP product lines.
. We buy off-lease bulk and surplus hardware.
. We ship and export Worldwide to every country. With many years of experience behind us, we have been able to build a product supply that enables Cypress Technology to pass on exceptional savings to our customers. 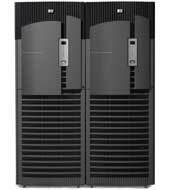 Helping to make your HP decisions easy and affordable is our highest priority when considering HP hardware. If you are considering a Hewlett-Packard hardware purchase, use our request for quotation link (Buy HP Hardware) and we can give an competitive price quotation. We purchase surplus and classic HP hardware as well as current products, feel free to use our contact link if you wish to sell or to get a market value of what your equipment is currently worth. Feel free to call or email if you have any technical questions on any HP products.